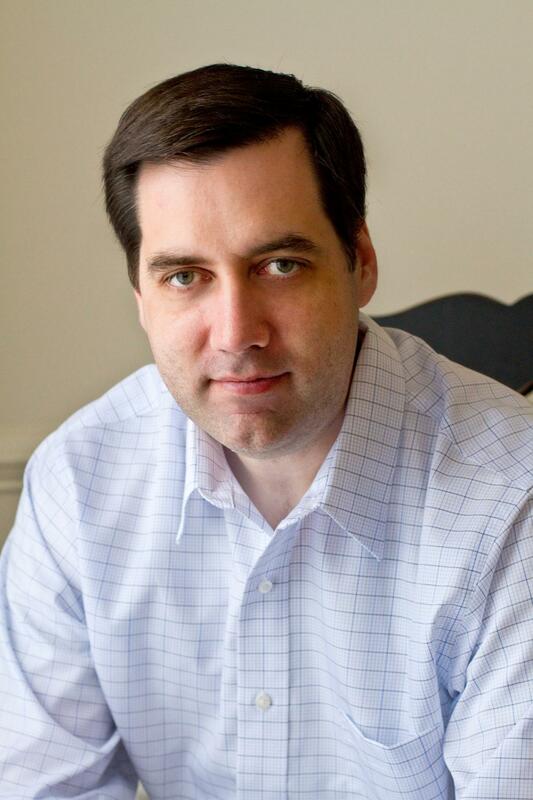 With “searing action” (Publishers Weekly) and “lead characters [who] are fleshed out and interesting, especially the decidedly Sherlock-ian Burke” (Kirkus Reviews), Mark Henshaw delivers the ingenious follow-up to his debut novel, Red Cell, featuring two CIA analysts on the hunt for a dangerous nuclear scientist. The USS Vicksburg is returning home when the crew comes upon a lifeboat bearing a dead Somali pirate who shows signs of torture. Questions immediately arise: Who is this man, and which ship did he come from? Who tortured him? Soon Red Cell analysts Kyra Stryker and Jonathan Burke have traced the dead man back to an Iranian ship currently bound for Venezuela—and the ship appears to have dangerous, radioactive cargo on board. The Iranians’ plan quickly becomes clear—they’re building a nuclear bomb in politically unstable Venezuela, away from the UN’s prying eyes. Stryker and Burke must tread carefully, though, because diplomacy in Venezuela is tricky at best. A civil war is at stake if word gets out. Can they stop the Iranians before it’s too late? 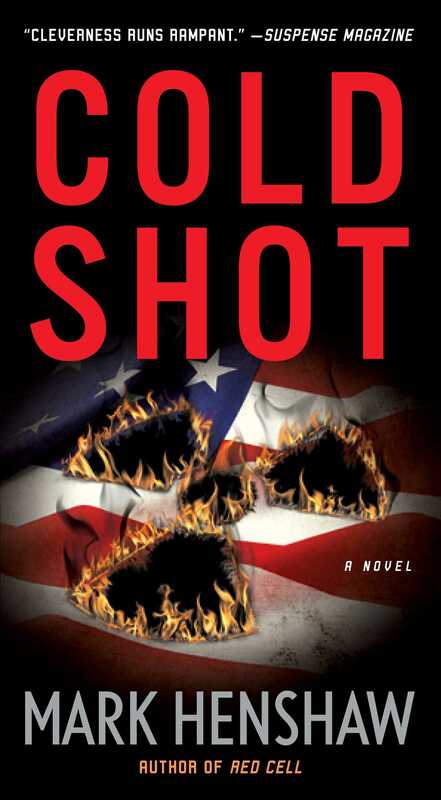 From current CIA analyst and Red Cell think tank veteran Mark Henshaw, Cold Shot is “tense, suspenseful, and loaded with immersive detail” (Kirkus Reviews)—a thrilling journey into the intelligence world that only a true insider could create. The house seemed out of place for this town, larger and more ornate than the others Marisa Mills could see from the rooftop. She guessed that there were only a hundred buildings scattered across the settlement, all bricks and dirty cement, mostly shops on the ground floors with apartments above. This particular home was one of the largest structures of any kind within sight, smaller only than the three mosques she could identify. It was two stories, white with columns in front and a small dome on top. A mud-colored concrete wall enclosed the villa’s courtyard, head-high with iron gates on opposing sides. The owner was clearly Sunni. No such home would have survived unscathed in this town had the owner followed any other religious path. The Sunnis here had little tolerance for the Shiites, less for the Americans, and the butchery of recent months had left Marisa wondering whether the residents weren’t killing just for sport now. That the owner had money wasn’t even in question. Whether the man supported the insurgency was a question that the Army Rangers moving to surround the building intended to settle. “They’re moving a bit fast on this one,” Marisa observed. “You know the Rangers,” the man to her left said. “They’re not really happy unless they’re engaged in a little property damage.” Jonathan Burke held his own field glasses to his eyes and swept them over the soldiers moving toward the house. “No sense rushing into a firefight if you can take your time and shut the enemy down before things begin,” she replied. The two CIA officers were lying on a rooftop a hundred meters from the raid site. The woman was, in fact, lying closer to Jon than was strictly necessary but he seemed oblivious to Mari’s frustration. A pair of Rangers were prone near the edge of the rooftop forty feet to their right. One half of the sniper team there had his hands wrapped around a Barrett M82 rifle. The other was staring at the house through a Leupold Mark 4 spotting scope. “You sound like a Sun Tzu disciple,” Jon said. “Did the Good Lord not give you a sense of humor or did you get it shot off?” She could see Rangers moving to the outside corners of the compound wall, ready to catch any of the “squirters” who might manage to slip out once the raid began. Humvees and an MRAP sat on the four roads surrounding the building, turning the intersections into kill zones covered by mounted M240B machine guns should the enemy bring reinforcements armed with anything heavier than light arms. The Army had assigned a helicopter to the operation, some model she couldn’t identify, which was circling at a distance. Marisa would have preferred an AC-130, but she supposed that an airborne howitzer was overkill for this sort of thing. Marisa looked at Jon sideways, subtle, hoping he would catch her gaze. Was that one professional or personal? There were very few women assigned to Task Force North, most of them were from CIA’s Special Activities Center, and Marisa Mills was far and away the one who drew the most attention from the men. The soldiers watched her for reasons not remotely professional and usually came on to her like the D-Day invasion. Jon was different, always subtle, maneuvering around her. He was a puzzle all his own. She didn’t know where she stood with him—but she liked a man who could put her off balance. It didn’t happen often. “If you’re going to stay, I’ve got some uses for you,” she said, choosing her words with care. “But I have to think about what’s best for my people and not just for me. This is boring stuff, it’s going to go on for years, and ‘Sherlock’ isn’t a term of endearment in the DoD.” It was one of the more polite names she knew had been aimed at the man lying to her left. “And you’re not a cyber-analyst,” Marisa observed. “And you still managed to get enough intel from it to pin this place as an insurgents’ weapons cache,” she finished. “That last bit has yet to be proven,” Jon said. “Humility doesn’t become you, Jon. But that was some nice work,” she told him. “What made you think you’d find something?” she asked. “That’s a happy thought. But you weren’t the first one to look at that laptop. Why didn’t any of the other guys find it?” Marisa asked. “They all had embedded graphics. That’s when I called one of your boys who does read Arabic. Farzat was counterfeiting bills of lading for cargo boxes transiting the Syrian border at al-Qaim. They had everything listed as ‘medical supplies.’ My guess is that he was trying to make sure the forms didn’t look fuzzy when printed. So some of the Deltas took a day trip and grabbed some of those ‘supplies.’ Artillery shells, every one of them, all made in Iran. Probably meant for IEDs.” Jonathan reached up and adjusted the focus on his field glasses a hair. “And all of the crates were addressed to this place?” Marisa guessed. At the compound wall, a Delta Force operator cut the chain by a side gate with bolt cutters and eight more moved past. The Deltas were all unshaven, scruffy hair, dressed in tactical pants and boots, with body armor over their T-shirts. They split into four-man stacks, half taking a position by either side of the door. The second man in the stack left of the door began fixing a frame charge to the front while his team scanned the area for threats. “I hope nobody’s on the other side when that goes off,” she said. The frame charge ripped the door from the hinges, shredding it to kindling in an instant. The left stack of Deltas were through the hole before the sound faded, M4 carbines raised to eye level. Marisa watched the right stack follow through her Leica. “Always love that bit—” Jonathan started. Then the world snapped into focus. “Contact! Mortar, half klik north!” somebody yelled over the radio. The mortar shell hit the rooftop seventy feet to the right. The shock wave knocked Jon prone and he felt it push him toward the edge. The wall of air, compressed hard, hit Marisa like a punch across her entire back and the woman pitched forward over the edge. Jon grabbed for her and managed to get his hand on her leg. Her weight dragged him forward. He pushed hard against the low wall with his one free hand, stopping his slide, then pulled against her, spinning himself until he could get his feet in front of him. He put his boots against the low concrete rise, grabbed Marisa with his other hand and pulled and lifted her back legs first with a grunt. He grabbed her belt and hauled, and finally she came up far enough to help, grabbing the roof wall with her hands. The snipers were dead, their bodies contorted and burning. The Rangers below had no overwatch. The mortar crew had the high ground. Jon scrambled to his feet and ran to the sniper post. The Barrett M82 was still there, lying by the parapet a few dozen feet away from its former owners. He lifted the gun, checked it for damage, then swung it to his right. The world seemed to be moving far slower than his mind was going. “Contact! Small-arms fire at northwest corner!” Another call from the other side of the compound. Near the center. He didn’t like that thought. “Contact! Small-arms fire and RPG, south side!” People were yelling over each other on the radio now, contacts in every direction. “I suggest you D-Boys find a basement,” somebody called out over the radio to the men in the house. Another explosion tore up the dirt inside the compound’s northwest corner. The masonry soaked up the blast, protecting the Rangers on the street outside but they still ran for cover inside a covered porch just across the street. A third mortar round landed in the courtyard, this one ripping a hole out of the eastern wall. Finally Jon found them. There, on the mosque, by the dome, two men standing by a tube pointed at the sky. Dumb, he thought. Up on a roof, exposed. Can’t hit and run. One of them reached up to the barrel, dropped a round. Jon put the crosshairs on the man but he moved out of the way, reaching down for his next shell. Jon held the crosshairs on the empty space where the man would have to return. His heart was hammering at his ribs, hard enough to shake the rifle a bit, but the distance to the target was less than two hundred yards, close enough that it wouldn’t matter. He took a deep breath, let it go and stopped the urge to breathe again, then took up the slack on the Barrett’s trigger. The man stood. Jon drew his finger back. The rifle finally roared and the .50 round punched through the insurgent’s chest cavity. The bullet ripped his heart out . . . and Jon, with the scope to his eye, saw sunlight through the hole at a hundred fifty yards. Then the world sped up and the insurgent collapsed, falling out of sight. His partner froze and Jon shifted the scope onto the second target. The insurgent was panicked, not thinking, and started to fire his AK-47 wildly, desperately trying to hit whoever had taken down his friend. Jonathan didn’t think. He pulled the trigger again. The bullet entered the man’s face at his nose and severed his brain stem as it went out the back. His head came apart in a red spray and that moment also slowed down, burning the image into Jon’s mind with a clarity and definition that he’d never known before. “Jon?” Marisa said, panic rising in her voice. “Roger that,” the pilot radioed back. The AH-6 Little Bird dove toward the town’s edge. Jon heard the screeching of tires. A pickup roared around the northwest corner. “Down!” he yelled to Marisa. The woman fell prone next to him on the roof and covered her head with her hands. The Ranger standing in the back of the Humvee swung his M240 and fired, bullets ripping into the approaching bomb. The truck driver was torn apart by the stream of lead, blood and brains flying inside the vehicle, his body slumping forward, but the truck kept coming. It slammed into the Hummer, knocking it sideways, then disappearing into a fireball that rose far above the rooftop where Jon and Marisa sat. The entire building shook under them and Jonathan thought for a moment it might cave in and drop them onto the street. Sixty seconds, four dead. Jon was surprised to find his brain tracking the numbers. More gunfire from below, the Rangers firing down alleyways at targets Jonathan couldn’t see. Dirt was kicking up in columns large and small from mortars and bullets, soldiers moving to shelter, firing back in every direction. Muzzle flashes erupted from the windows of the nearby houses. All of the shooters were inside the buildings, firing out, none exposed on the roofs where Jon or the Little Bird could get open shots. Kill box. We’re in a kill box. Jonathan shifted his weapon, saw no one. A concrete porch jutted out from a second-story door above a butcher’s shop, with a cinder-block wall three feet high for a rail. A hand reached over and tossed a grenade into the street. It went off, hurting no one. It would be another shot less than a hundred yards. Jon watched the spot, waiting for them to stick a head up, but they refused him the courtesy. Another hand reached over, blindly tossing a grenade, this one landing on the other side of the car sheltering a pair of Rangers taking cover from the mortars. The grenade went off, blowing out windows and tires. One of the Rangers in the street raised up from behind a parked car, raised his rifle to his shoulder to fire at some target Jon didn’t see, then jerked, spun, and fell on his face. One of his fellows reached out, took him by the grab handle on his vest, and pulled him out of the open. Jon cursed, aimed the Barrett at the porch, judged the target by memory, and pulled the trigger. The .50 round covered the distance and smashed through the cinder block. He saw no impact, but blood sprayed against the porch door. The dead man’s partner figured out that the wall was no shield, jumped up, and began firing an AK-47 wildly. Marisa raised up onto one knee, hosed down the porch with her HK, three of her shots hitting the man in the stomach, and he fell over the wall into the street. Another mortar shell hit the roof, this time eighty feet left, and the shock wave knocked them flat again. “Time to be going,” Jon told her. “They’ve got our number.” He pushed himself up to a crouch. He shouldered his pack, grabbed both the Barrett and Marisa’s hand, and dragged her toward the side stairwell. Bullets were hitting the parapets now. Someone hadn’t liked his work with the Barrett. “We have two dead up here—” she answered. Jon reached the stairwell and stuck his head over. Insurgents were turkey-peeking around the far corner of the alley. He pulled his head back as one of the Iraqis jumped out and opened up, lead smacking off the stone stairs. “Can’t go down that way,” he told Marisa. Jon pointed to a mortar hole in the ceiling. They ran over, looked down, and saw no one. Jon drew his sidearm and went down into the hole, his Glock 17 in his gloved hands. The room was empty. “Clear,” he called out. Marisa sat on the hole’s edge and let Jon help her lower herself down from the roof, her khaki boots kicking up dust on the floor as she landed. Jon moved to a nearby doorway, pistol raised. Marisa put her HK to her shoulder, following behind. He kicked the door open, leaned out far enough to scan the hall, then stepped out of the room. He turned left, the Glock at eye level. Marisa came out behind him, sweeping the hallway behind. A stairwell was visible at the hallway’s far end. Smoke was starting to fill the corridor now, coming from whatever room the first mortar round had taken out. Gotta get downstairs before we can’t see. They were almost to the stairs when someone yelled in Arabic behind them. Marisa’s HK went off, a three-round burst, then another. Someone screamed in agony and the yelling turned to constant shouts. Jon pulled Marisa around the corner at the hallway’s end a half second before someone sent their own burst of gunfire toward them from the other end. “Go!” Jon yelled. He moved to the stairs, covered the hall, Glock up and firing, while Marisa took the stairs down by threes. No one met her at the bottom. “Clear!” she yelled. Jon followed her down and circled around to the next flight downward, Marisa covering the hallway on that floor. They moved through the hallways and down the staircases, covering each other as they moved for the building lobby that opened halfway down. The entrance was wrecked, glass in chunks everywhere that their boots crushed into smaller shards as they moved for the door. “Cover the hall,” he ordered. Marisa took position by the entryway to the corridor, her rifle pointed at the black-and-white-tiled floor. Jon reached the front door. Windows framed the wooden entrance on each side, the glass smashed out. Jon tried to scan their position but the small spaces restricted his vision too much. He turned to the door, stood to the side and opened it, checking the street. Another mortar shell took out a storefront up the street; the crack of guns was almost constant now, and yells and screams could still be heard from a distance he could judge over the other sounds. He’d fired enough AK-47s in training and knew the sound. There were far more of those going off than the M4s his unit carried. The next minute took a quick eternity to pass before Jon heard an engine roar and the massive armored carrier rumbled around the corner, drawing fire. The turret gunner riding on the back swung his weapon and poured lead into a nearby house. The vehicle stopped in front of Jon’s position, parked on the dirty sidewalk angled against the direction of the hostile fire, and the rear door opened almost into the building. The woman cursed and ran for the door. He covered the rear hallway with his pistol as she raced past him and leaped inside the armored vehicle. Arms reached out to grab her and they pulled her into the dark confines of the truck. Jon followed behind, unslinging his Barrett and handing it to the first set of hands he saw. He holstered his Glock, then pulled himself inside and jumped into the cramped space. Rangers were everywhere, almost no room to breathe. Another Ranger inside slammed the rear door and threw the handle, locking it shut. Bullets snapped against the metal door and the top gunner returned fire round for round. The driver shifted gears and stomped the pedal. The MRAP moved with a jerk, tossing everyone toward the back. Jon caught Marisa, saving her from cracking her head on the rear door. “Watch the hands, boy,” she muttered. Jon’s answer was cut off by the sound of the machine gunner above yelling something no one could hear over the sound of the big weapon firing. The driver was cursing Iraqis in ways that suggested he should’ve joined the Navy instead. The MRAP picked up speed, then pitched off axis as something exploded nearby. The driver straightened it out, shifted a gear, and let the monster truck have all the gas it wanted. “You okay?” Jon asked. Marisa was still pushed up against him. She made no effort to extricate herself. “That’s something.” Jon slumped back against the rear metal door, his hands trembling hard, and he closed his eyes. “Jon? Are you okay?” Marisa knelt down beside him. The man was pressing his hands hard against his eyes and his whole body was shaking. “Are you shot?” she asked, panic creeping into her voice. He knew that he would be seeing it for a very long time.